Mabel Normand was Keystone Studios’ greatest female star. A comedienne of the first rank, she also wrote and directed, and would be better remembered today if her personal life hadn’t ended her career, and her life, too soon. For those of us who do know her, the rewards of a Normand performance remain as clear as they were in the 1910s. She had impeccable pacing and natural pathos, and an ability—unmatched, I think, in the silent era—to appear overwhelmed by the chaos surrounding her. This was calculated, of course, and it was a perfect fit for the short comedies Mack Sennett’s studio produced. For those films were fast—sometimes too fast—and populated with comedy grotesques. Normand brought heart, and even sympathy, to the Keystone films she starred in. She slowed the tornado down. Mabel’s Dramatic Career isn’t Normand’s best work, nor is it one of Keystone’s best shorts. But it exemplifies what Normand’s presence could add to a film. And, maybe, what her absence could take away. 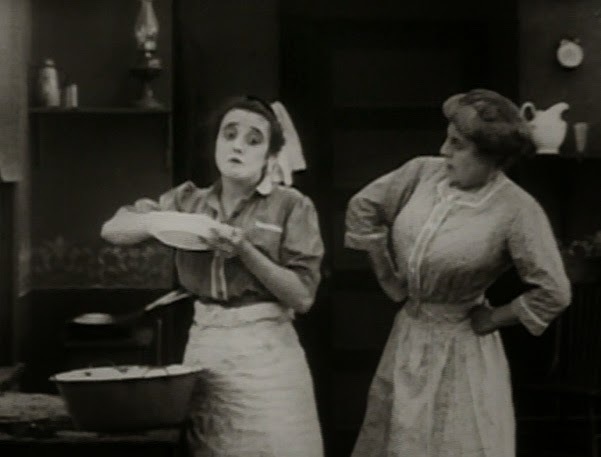 Normand plays “Mabel”: a kitchen maid who’s just been proposed to by the son of her wealthy employer. We learn this in the opening seconds, which is typical of a Keystone short. We learn, too, that the son is a hyperactive clod, which is pretty typical of Keystone too—though its best actors made something more of it. In this case the actor is Sennett himself. I’ve seen many Sennett-produced or -directed films, but rarely ones in which he appeared in any kind of substantial role, so this was a treat. Not that he’s much good, mind you—his take on “Mack”, the spoiled son, is quickly tiring. Sennett had a build a lot like McLean Stevenson: tall and lanky, but easily reduced to a pot-bellied slouch. And while that can be funny, as Stevenson made it in M*A*S*H, it can also be weird, as Sennett makes it look here. Normand has a lot to work with, in a way. “Mack” is so off-putting in these opening minutes that you pity her desiring him at all. And of course, there’s no hint of the gold-digger in her, so you side with her all the more. This is not a character trait shared by her new rival (Virginia Kirtley): a citified hottie who steals Mack’s heart and leaves Mabel crying at the train station. Mabel leaves her job and her love behind, heading for the big city and a fresh start. It’s from this point on that things get interesting. 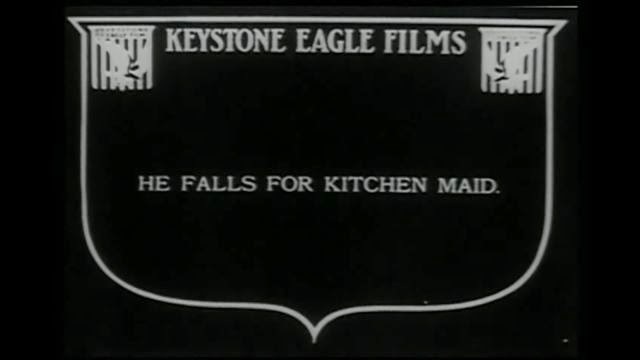 Mabel’s Dramatic Career is one of several Keystone shorts that go “meta”—referencing, as part of their comic scenarios, Keystone Studios itself. In this case, Mabel is discovered, auditions successfully for a part and is made a huge Keystone film star (as only Keystone could possibly do—the braggadocio of this is half the fun). I saw Mabel’s Dramatic Career in a theatre, with live accompaniment. So the scene with Sennett and Arbuckle was especially fun. 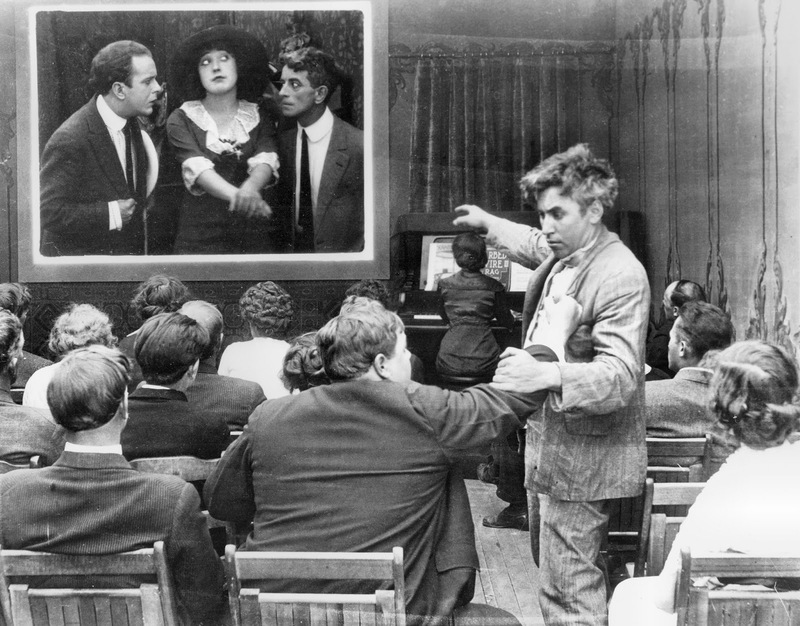 Think of it: we were sitting in our seats, listening to a pianist, and watching a Mabel Normand film, in which the characters were sitting in their seats, listening to a pianist, and watching a Mabel Normand film. You don’t just laugh at this gag, you’re part of it. The theatre scene is the film’s best by far. Mabel’s Dramatic Career doesn’t have much of a third act at all—in part, I think, because Normand isn’t in it. In fact, she’s in barely half of the film, if you exclude the ‘film’ Mack sees her in. This was a performance too, but in the context of Mabel’s Dramatic Career, it’s merely footage. Normand’s presence being absent, we’re left with Sennett, who cannot carry things after the kind of performance he’s given thus far. When the movie ends—and like many Keystone shorts, it does so abruptly—we are ready. Mabel’s Dramatic Career can be recommended for its good ideas, but they’re better executed elsewhere. 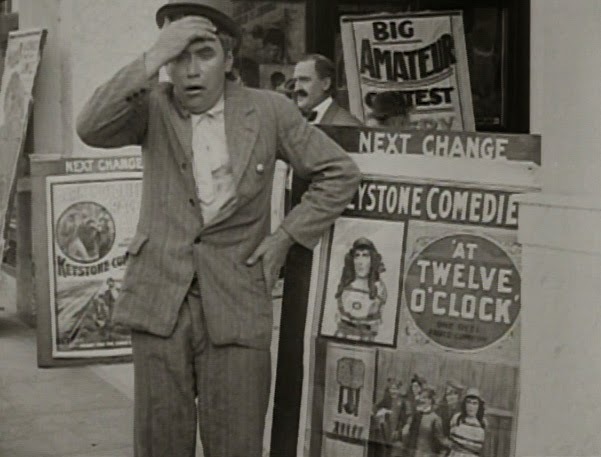 The film-within-a-film gag, in particular, showed up in many other places in the silent era—most famously in Buster Keaton’s Sherlock, Jr. (1924). To see the blurring of reality and fiction brought to its silent comedy apex, skip this film and watch Show People (1928), arguably King Vidor’s finest work. And I still think Arbuckle would’ve killed it in the main role here, like he did as the cowardly lay-about in Coney Island (1917). I saw Mabel’s Dramatic Career this past Sunday—part of a Silent Revue quadruple bill at the Revue Cinema, in Toronto. Special thanks to Alicia Fletcher and her team for putting it all together.